When the summer heat comes out in late April and early May, the swimming season in Las Vegas is generally in full swing. A large percentage of homes in the valley have their own swimming pools, and families take full advantage of the heat to enjoy them at every opportunity. Sadly, fun can change to tragedy very quickly, causing many families to experience the devastation of losing a child to drowning. A family recently experienced the terror that comes with finding their 2-year old lying face down, unresponsive in the family’s swimming pool. The boy was lucky and survived, but may experience the effects of his near-death encounter for the rest of his life. While there have not been any deaths in the valley so far in 2014, 13 nonfatal submersion events, or drownings, have already occurred this year, and that only includes those situations in which someone called 911. Four children lost their lives in the water in 2013 in Clark County alone, making the state one of the worst in child drowning fatalities in the nation. Three of the fatalities and 83 percent of the submersion events that occurred in Clark County in 2013, fatal and nonfatal alike, involved a child four years old or younger. Sixty-five percent of all events occurred in private pools. Install four-sided fencing with self-closing and self-latching gates and doors around any home swimming pool. Negligent owners who fail to erect access barriers to their pool can be held legally responsible for what occurs at their pool. Provide each child with swimming lessons. The American Academy of Pediatrics recommends that children begin water-safety training and swimming lessons at age one. Provide swimmers with properly fitted life jackets. Learn what drowning looks like. Contrary to what is depicted on television, drowning is quiet and occurs very quickly. The ultimate precaution any parent can take is providing adequate supervision. 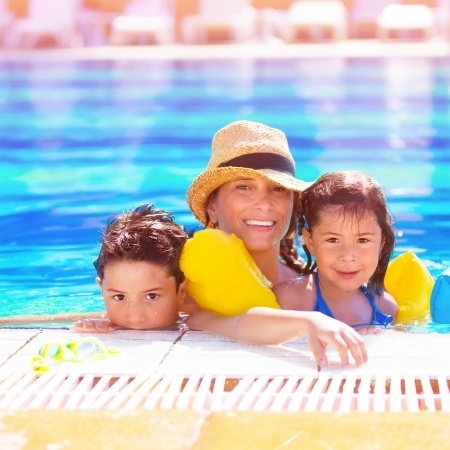 A properly supervised child will be restricted from gaining unintentional access to a pool area. When children are playing in a pool, constant supervision is necessary no matter their individual skill in the water or level of training. Keep young, inexperienced swimmers at arm’s length at all times. Parents can learn CPR to ensure that even if a submersion event does occur, their children will receive immediate medical attention. Those who have experienced the devastation that comes with losing a child or another loved one to drowning can contact a wrongful death attorney to discuss their situation. While no amount of money can ever make up for the loss, ensuring that the responsible party is held liable for their actions can bring healing and closure for the families of drowning victims.